Traditional arched metal garden gate. Constructed in a wrought iron style. 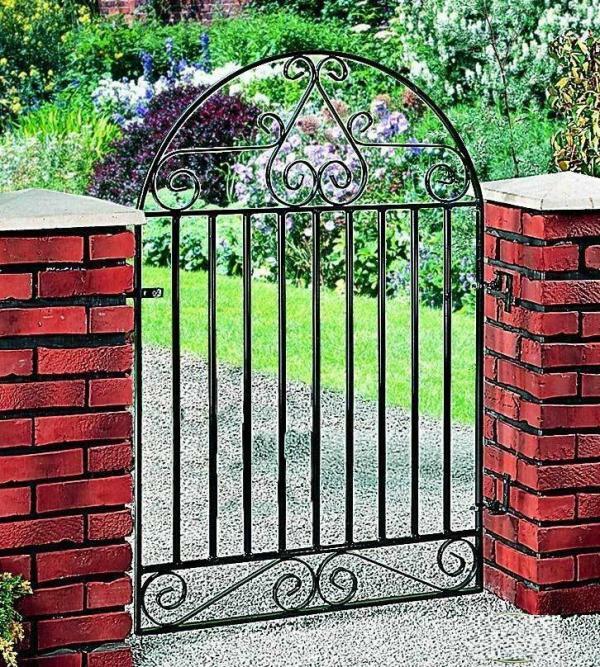 Available to buy online in a selection of sizes the Marlborough 4ft high arched metal gate features decorative scrollwork set within the solid framework and infill bars to ensure strength and durability. Perfect for a variety of residential applications around the home and garden. 20mm x 8mm metal frames and 10mm infill bars. Visually appealing 10mm x 3mm scrollwork creates a timeless appeal. Gates are supplied with adjustable hinges and a universal latch. 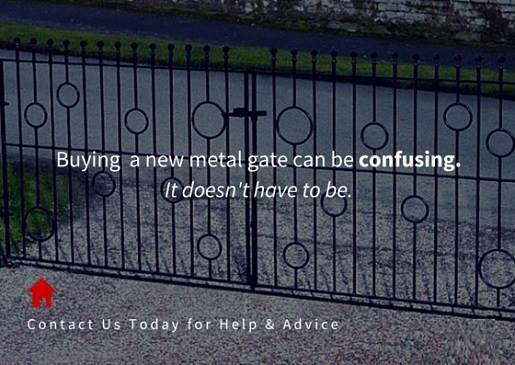 Marlborough metal garden gates are supplied in a black primer and must be painted prior to installation to provide protection against the elements..
Do you need assistance selecting the right gate size? 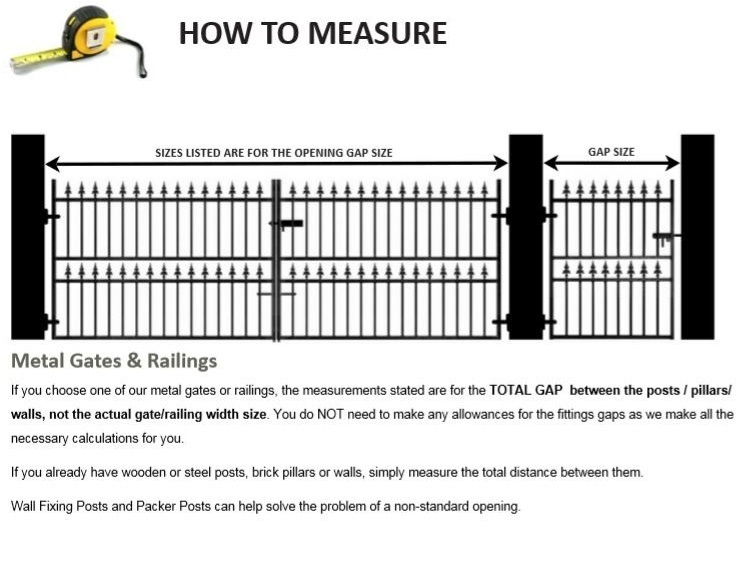 View the measuring guide & frequently asked questions page or contact us by phone or email for further assistance. 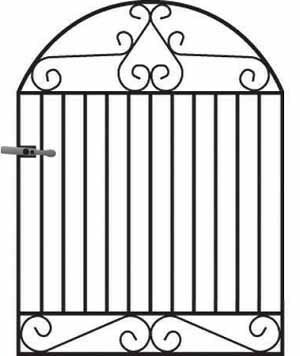 Where the gate is to be installed in a location where no wall or other suitable structure is available or you would prefer to order the gate with a zinc plated (electro galvanised) and powder coated paint finish please feel free to contact us by phone or email and we will be on hand to provide support and give an indication of additional costs.